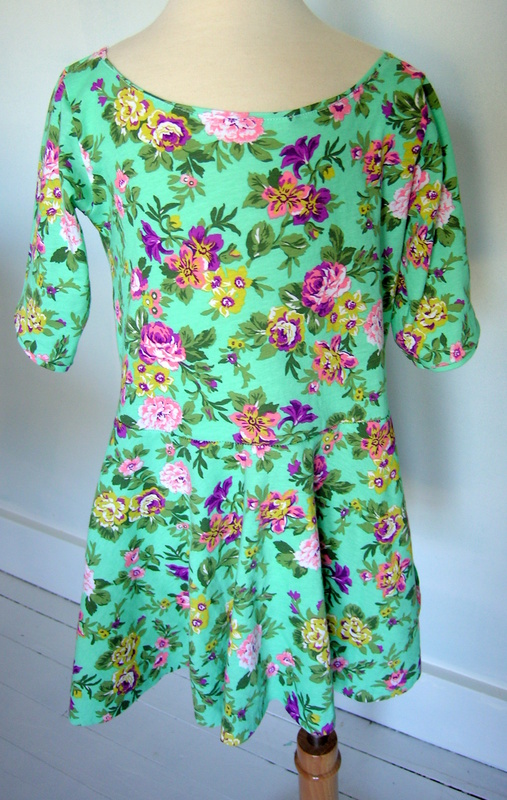 I don’t know what it is about vintage patterns- I just can’t get enough of them. 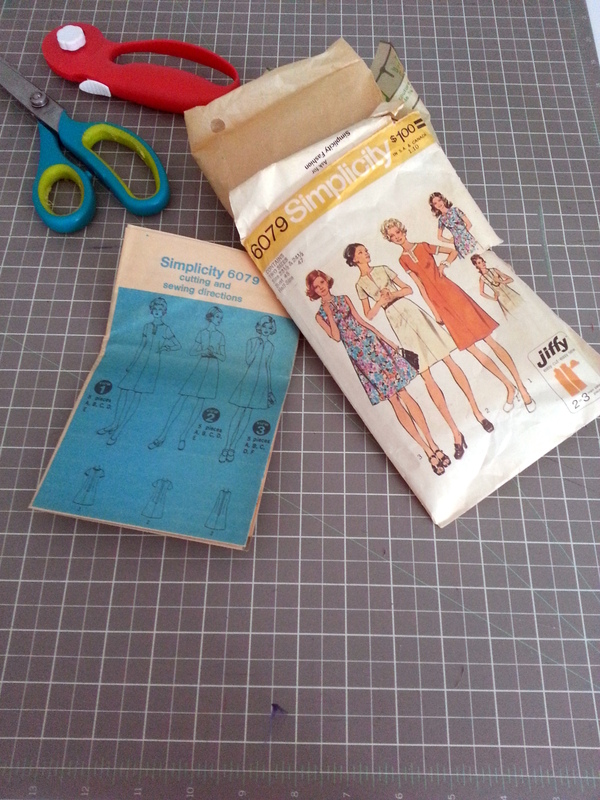 My sewing room is full of children’s sewing patterns from the 60’s and 70’s…love them. Up until now I have only collected girls patterns, but recently acquired a handful of women’s patterns in my size from the same era at the thrift store and I am smitten. I am taking a new approach to sewing and trying new things. I want to spend more time sewing for myself and trying out styles I wouldn’t normally wear. 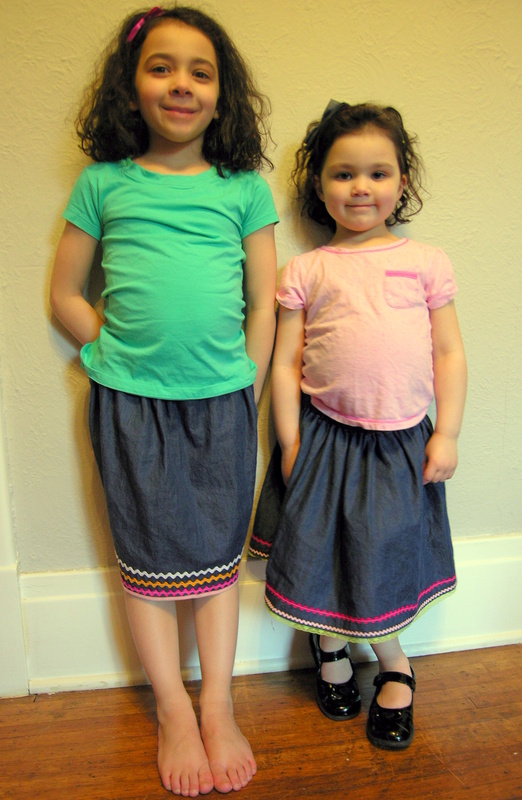 Up until recently I ONLY sewed for the girls, with the occasional bag or home item for myself. 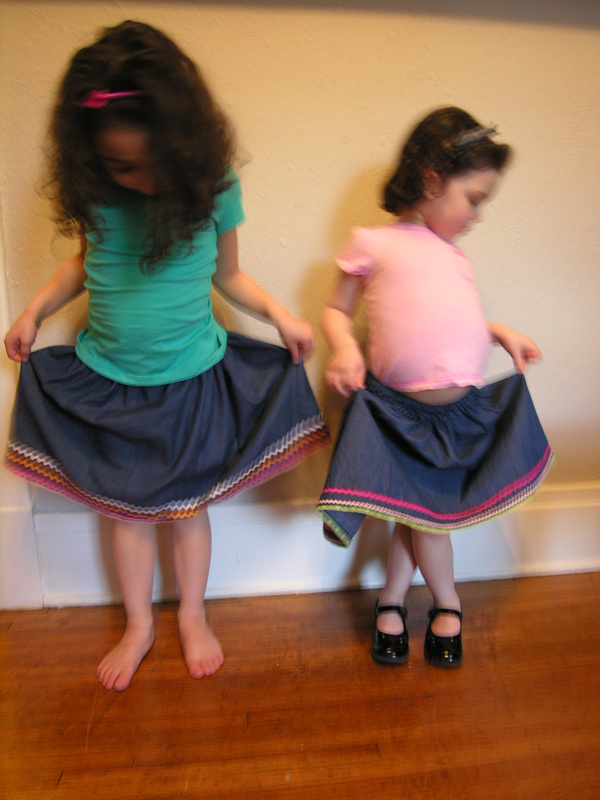 Now that the girls are growing up and have more opinions about what they wear I am not having as much fun sewing for them as I used to! 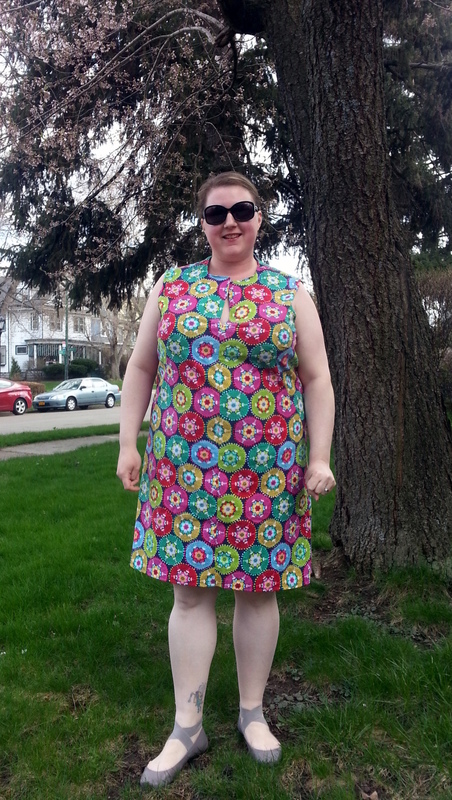 It is pretty frustrating to choose a fabric/pattern and spend time sewing a garment that sits in the closet unworn. I can’t do that to myself anymore! Solution: become a selfish sewer. Although I find much of the sewing of vintage patterns to be overly laborious with all of the zippers, darts, facings etc…I have to admit that the finished garment is pretty great and worth all of the work. 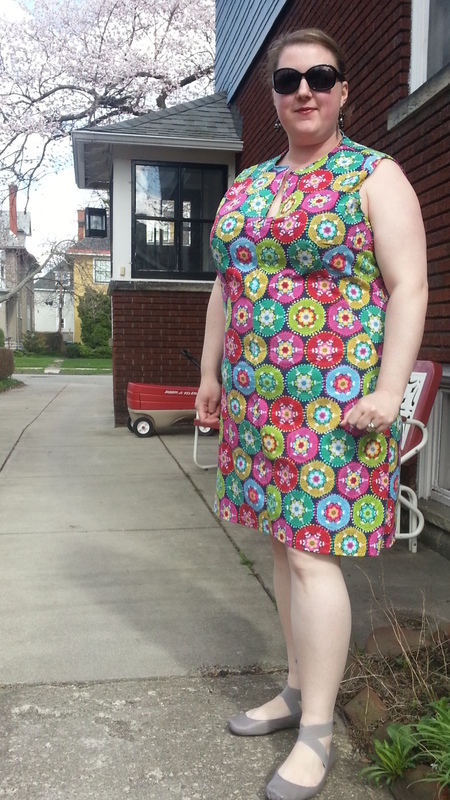 Case in point- Simplicity 6079. I never knew what half sized patterns meant- and probably better off that I didn’t know that they were for women about 6 inches shorter than me or I would have never tried this pattern! It really worked out in the end and I am happy with the results (not the pictures of myself, but the dress!) Maybe the pictures would be more flattering if they weren’t take from the angle looking up- but that is what you get when you have a small child as your photographer! I bought this fabric on sale at Hobby Lobby, it is just an inexpensive quilting cotton but I loved the price and the print and thought it would be great to wear on our vacation this summer to the Dominican Republic- nice and bright for summer. I chose to use View 3- the one shown in blue floral on the cover, sleeveless dress with a deep v slit neck and slightly flared skirt. Since the print is so bold it is hard to see the great lines of this dress- but in addition to the center seams there are bust darts, side darts and back darts…lots of darts. This along with neck and front facings and a 22 inch zipper- wow. I chose to leave out the armhole facings…I was ready to be done by the time I got to those. 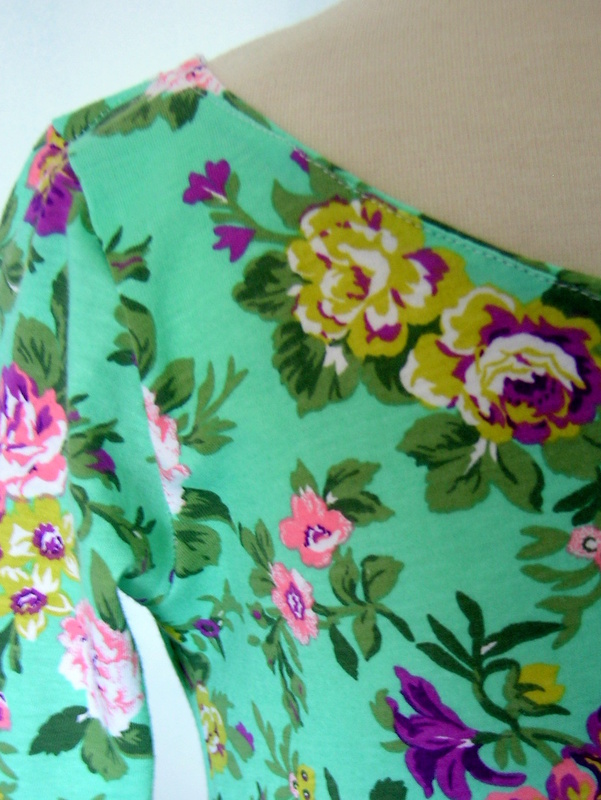 I simply folded over the edge around the armhole and folded it under again to sew it up. No facing required and so much faster. All in all this dress took me about 2 or 3 hours to sew up, including cutting the pattern and fabric. Well worth the time since it fits perfectly and will work well into fall when paired with a cardigan and leggings. Aka my uniform!